- D,DF,F, Z + C: Tag Team Hyper (require at least 3000 power). - No UNO Mode (it's just simply broken). - Cannot call for assists during specials and hypers. - Assist calling no longer costs power. Notes: The characters are frequently updated and the demonstrations may be no longer accurate. What has been changed can be found in the videos' descriptions. Also, I have stopped supporting MUGEN 1.0 version of my works as they will not receive updates so 1.1 version is highly suggested. Deltarune Hype! Updated Toriel to the list. Updated Airman to the list. Updated Colossus to the list. Updated Link to the list. Updated Deadpool to the list. Updated Black Manta to the list. Updated Pannacotta Fugo / Purple Haze to the list. Man of Steel comin' through! Updated Steel to the list. Punisher is now in the list. Added Mr. X to the list. Added Captain America and Jotaro into the list. Ridin' on the damn Jump Force Hype train. Added Captain America and (Jotaro) into the list. 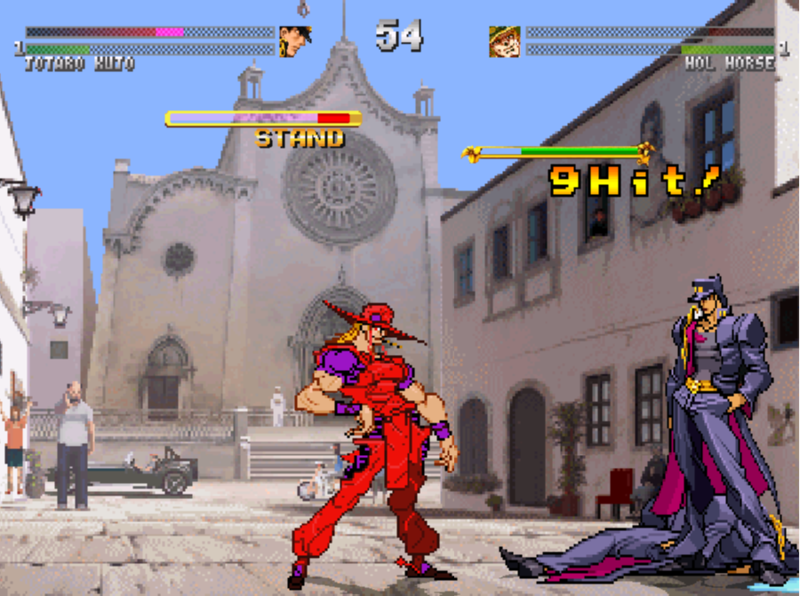 Jotaro works really well but I found a minor glitch is whenever he's hit with a crumble move with SP out, sp turns into jotaro wile he slumps down instead of disappearing. I'll have to attach a photo to show it soon. gotta recreate it. edit, I got the glitch to work. How interested would you be in collaborating on a lil compilation/full game of out the already made Jojo characters? I have some friends who are interested and fans of your edits, I could even help myself when available. I can put an Ikemen together when a Jojo SP(sure there is one) and you guys can make sport out of it. Would be fun to watch.